The latest in our string of mobile updates, our release for Android features a handful of useful new settings! Included in the update is an option to logoff your account when the LastPass app has been running in the background after a time limit of your choice, as well as the ability to check your login status when launching the app. Both features will help you better secure your LastPass account, providing you the ability to control how long your session stays active and ensure your data is secure if your phone is ever lost or stolen. We've also added an oft-requested feature: generating pronounceable passwords! You now have the ability to kill your LastPass session when the app has been running in the background for a time period of your choice. Essentially the mobile version of "logoff after idle", you can set a time limit in your Preferences menu of the LastPass app. With the time limit enabled, your LastPass session will be terminated when you multitask away from the LastPass app and it remains in the background for that period of time. When you tap back to the LastPass app, you'll be required to login again. 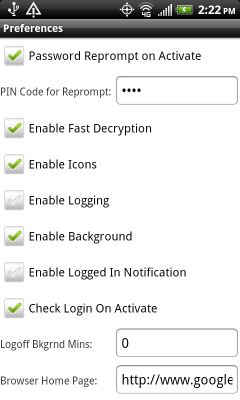 Within your LastPass account, we offer the ability for you to view and remotely kill active LastPass sessions. Accessible via your LastPass Icon by going to your Tools menu, the "Other Sessions" page allows you to see any browsers or devices where you're still logged in to your LastPass account. You are then able to select some or all of your active session and "kill" them, forcing your session to expire. This feature ensures that if you leave LastPass logged in somewhere by accident, you can later force that session to end. 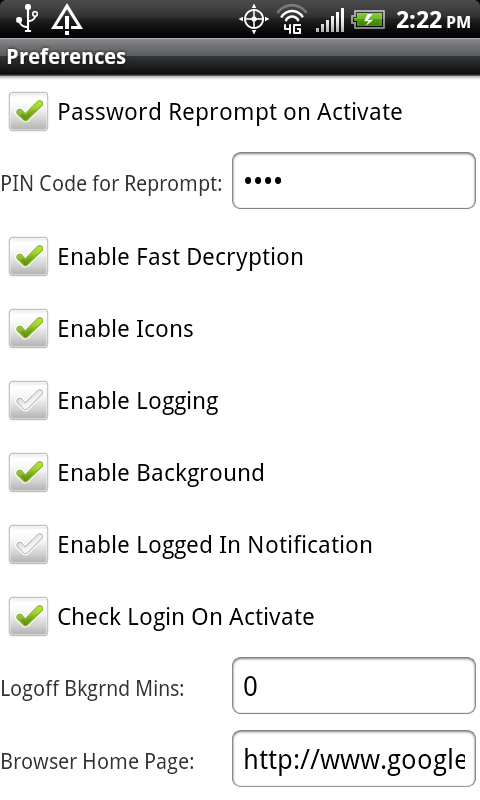 On the Android, enabling "Check Login on Activate" in your Preferences menu ensures that, when the LastPass app is launched, a check is performed to see if the session was cancelled remotely using the "kill active sessions" feature. If we identify that the request has been made, LastPass will logoff and require the email address and master password to be entered again. 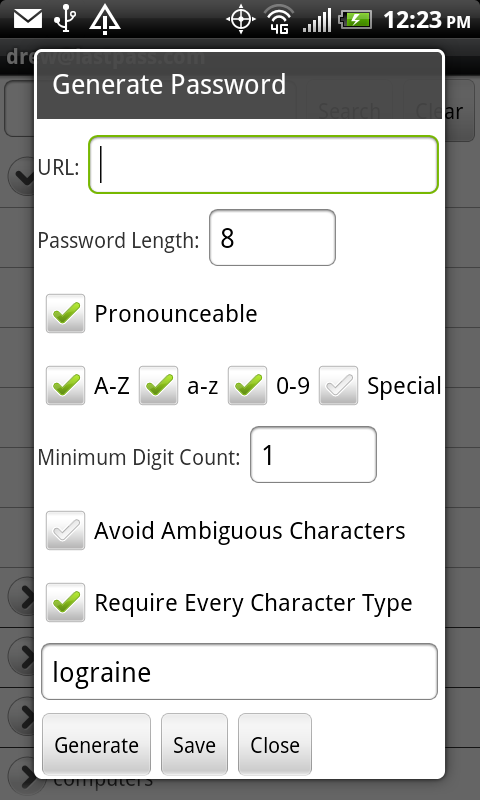 Included within the advanced settings of our password generator, you can now generate pronounceable passwords. Pronounceable passwords are randomly generated but easier for typing on a mobile keyboard or sharing. As a reminder, the Android app is part of our Premium offering, but can be trialed for 14 days before upgrading for $12 per year. We've got some exciting updates on the horizon, so keep an eye out for more posts.